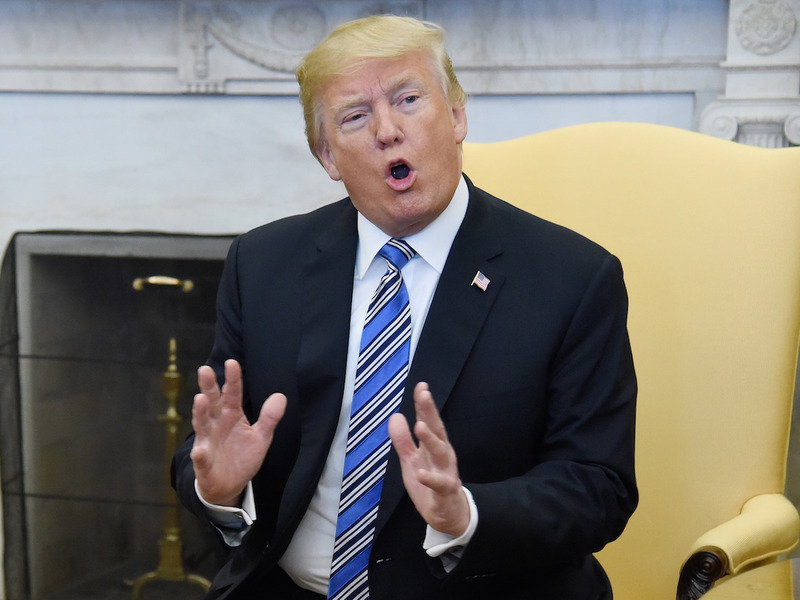 President Trump said Monday that a trade war was unlikely despite recently announced tariffs on steel and aluminium. Other countries have already promised to respond to the new tariffs with import taxes of their own. The comments, made during a White House meeting with Israeli Prime Minister Benjamin Netanyahu, came just four days after Trump announced new tariffs – taxes on imports – for steel and aluminium coming into the US. They also came after Trump himself repeatedly courted the possibility of a fight on Twitter. “When a country (USA) is losing many billions of dollars on trade with virtually every country it does business with, trade wars are good, and easy to win,” Trump said Friday. Trump told reporters on Monday that he was “not backing down” from the proposed tariffs despite promises of retribution from other countries and warnings from leaders of his own political party. Some nations have already promised to respond with tariffs of their own. For instance, the EU said it would tax US exports of bourbon, blue jeans, and motorcycles. In response, Trump threatened to increase tariffs on EU-made cars. While there’s no technical declaration of a trade war, it is generally considered to occur when countries impose more onerous trade restrictions back and forth. Economists warn that a protracted trade war would be seriously detrimental to the US economy and likely lead to job losses and possibly even a recession.